Opals are created when water is trapped in silica. The iridescence of opals rival all other iridescent gems and stones. Some opals are more expensive than diamonds. Opals vary in quality from opalescent, pearly white opals, to the 'play-of-color' brilliant ones. Opals are divided into three groups: common, precious, and fire colored. 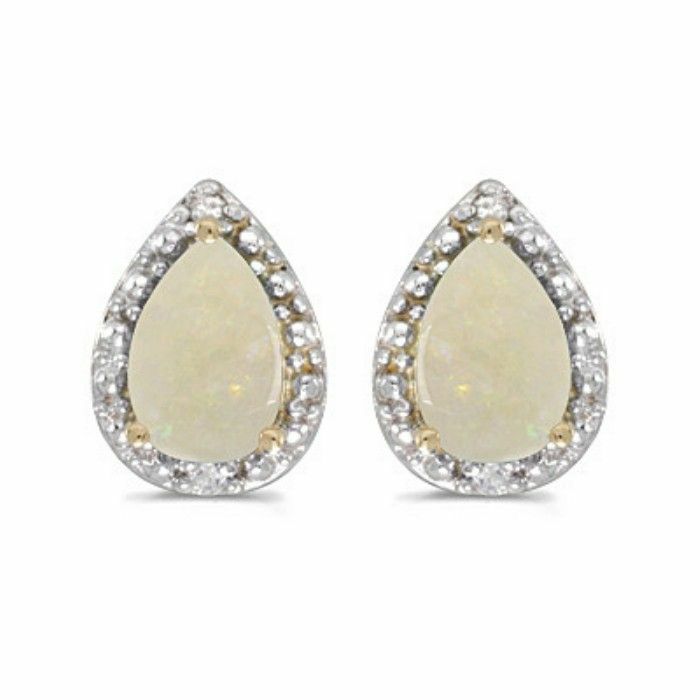 14k yellow gold pear opal and diamond earrings featuring 7x5 mm genuine natural opals with a 2/3 carat total weight. Diamond content is .02 carats in H/I color, I2 clarity.